Medium - £28.99 Only 6 left! Large - £28.99 X-Large - £28.99 Only 7 left! 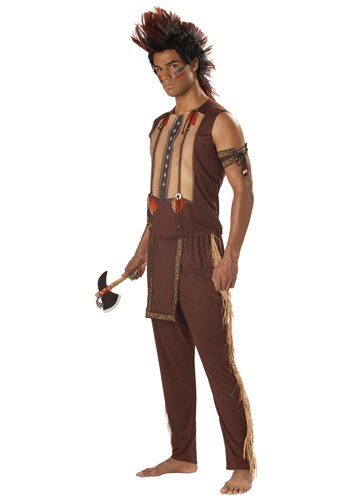 The Native American-inspired shirt has a breastplate printed on the brown fabric. The printed look is framed with feathers and a bone button on both sides. The faux leather strings dangle from the middle and are accented with one red and yellow bead. The pants are accented with a light faux fringe. They also have a flap on the front and are bordered with a pattern. You'll even get armbands to finish off your look. 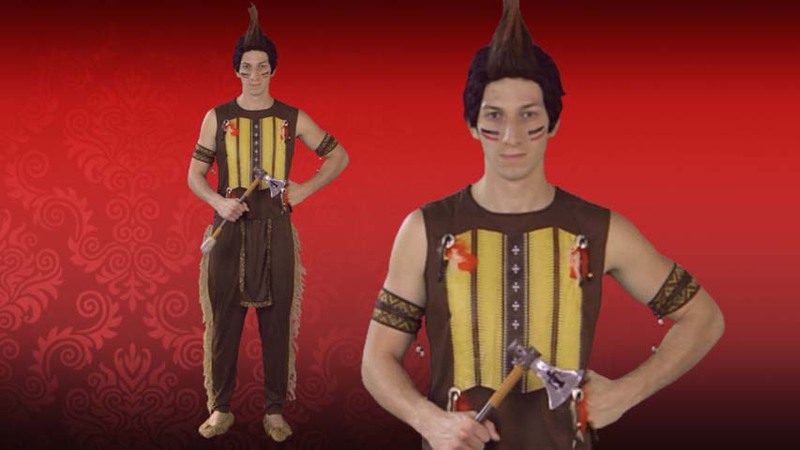 Stock up on accessories such as moccasins, or a faux weapon replica!